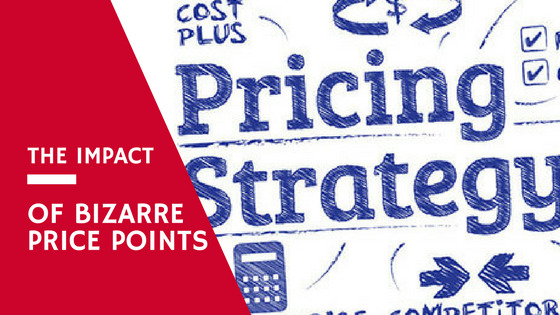 I have an interesting story to share with you on price points and I hope it is going to shed a lot of light on how, we as people, interact to different price points and how as humans we quantify different price points and value in our decision-making. This story on pricing and the overall idea for providing pricing strategy exmaples started when I was recently on a vacation with my family in Santa Monica, California. For those of you unfamiliar with the area, there is a famous pier (Santa Monica Pier) that is in essence an amusement park with rides, entertainment, restaurants, buskers, and beautiful views of the surrounding landscape. Anyways, I went to get some ice cream for my eldest daughter (4 years old now), and I noticed something very bizarre about the pricing. In fact, so bizarre it inspire me to write this post because the effectiveness of this marketing was evident as it worked on me (even after approaching and think about this as a marketer). If you look at the bottom of the image below, what do you notice about the price points under the "dippin' dots" section? If you can see that the regular and large only being $0.50 apart, or 7% different in terms of price, then you noticed what I noticed right away. It is not the first time I have seen pricing like this, but being in the online business space either as an affiliate marketer or and internet business owner, pricing is something that always has had a significant impact on conversions and user perception. So I wanted to spend some time analyzing and putting my thoughts about pricing and different price points. I think this exercise in pricing can help you drastically with your affiliate marketing efforts, your product reviews/comparisons, as well as help you in many ways if you are running an e-commerce, drop shipping or you are a merchant yourself. I am also going to give you some insights into other pricing methods that are subtle, but can have a huge impact on conversions and your ability to sell more efficiently (and more quantity) without any additional marketing effort. It's all about the pricing! This is a prime case of two side by side prices, and the human instinct being able to immediately put the most value on the best value. $7.50 is not a good price for a small container or ice cream pebbles. Far from it. But I was able to quantify purchasing that in my mind by comparing it to the lower priced item. In fact, I almost felt as though I "worked the system" by getting double the amount for only $0.50. I felt that I as the consumer made a smart purchasing decision that lead to me getting much more value from my purchase. I can assure you that 99.9% of the people that buy "Dippin Dots" are buying the Large size. It simply doesn't makes sense to buy the Regular one, even if you want Regular. So the first lesson is, when you can clearly decide on a winner and when it appears to be an obvious value, you will make your decision with much more efficiency. I didn't need to 'waffle' about whether the Regular or the Large would be the right one for us, I immediately decide on the Large because it was a no-brainer. I emotionally felt as though I got a pretty good deal because I made a smart purchasing decision, not even realizing the fact that I just spent $7.50 for a very small amount of ice cream. I always used to do this as a kid. If I wanted the newest basketball shoes, I would tell my mom some insane amount of money that they cost. I would say something like "$350", I would get a response like "that is ridiculous", then I would indicate that they were actually only $180 (which is still expensive for a basketball shoe). But this is the reality and you see this approach on some of the most famous and successful infomercials out there. From the Foreman Grill, Slapchop, Shamwow to the "Set it and Forget" Ronco Rotisserie, they set you up at a much higher price point, then at the end of the infomercial when the hard sell comes you hear. "These retail at $500. But we are in a good mood and we are not going to charge you $500...not even $400...not even $300...and NOT EVEN $200. For $149.99, you are going to get the amazing PRODUCT_HERE. BUT, that's not all. If you order within the next 30 minutes through our hot line, we are going to throw in the second PRODUCT_NAME for free!" It is easy to minimize a price point when you first introduce a higher price or when you introduce two products with similar parity, one having a much higher price point (which I am going to get into within the next section). Consumers are clumsy when it comes to determining value of something based on a "number". But the reality is that everything is priced with a financial dollar amount, thus leaving room for marketers, merchants an e-commerce stores, and affiliates to have some control over the consumerist behavior and the decisions they make. As a marketer, you can do something very subtle to influence people's purchasing decision. It follows the same principles as the ice cream example I have given above. People by virtue are price conscious. They make decisions to a great extent on the price first, alongside value, and quality. If you can introduce a similar product, with similar features and price points alongside a MUCH more expensive one that is overpriced, it will have a great impact on conversions. Put a high priced affiliate product beside the one that you actually want people to purchase (and that is the best). If you are reviewing products/services in a particular niche or category, you can test putting something really expensive within your comparisons or breakdowns to exemplify the value of the more cost-efficient item. There are high end or overpriced products/services in every industry, so it doesn't take much effort to find something like this. Let's look at a few examples of this, just some I can give you some perspective and you can try to apprehend your own consumerist feelings towards "high vs. low" price comparison. The first is a TV. You have an LED Smart TV by Phillips, a reputable brand, which gets great reviews in Amazon. Put that along side an the high end Samsung TV and the potential customer will really start to see the value. In the exercise and health world, there are many different programs, types of equipment, supplements, and services that you can leverage to try to get into shape. A very common way for people to get into shape is a Home Gym, but these can be very expensive as shown below. Put that along side a dieting membership like eDiets, and your website visitor will be able to make a purchasing decision while maximize the idea of "value". And lastly, if you put two very similar dieting plans beside one another, you can also weigh the value purely based on price. The Weight Watchers plan includes more and includes actual products, but you can see how the impact of a product being priced at 350% can have. I certainly don't advocate the idea of selling out the customer, in fact, quite the contrary. As an affiliate marketers and authority site owner, you want to help your audience realize what else is out there and show them that you have done your research and due diligence...and you are showing them the most cost-efficient product possible. You have likely heard the term "Costco size", because this has become synonymous with "too much, but it was a good deal". I remember in the early stages of Costco been successful, we will go in there as a family and end up buying 24 large muffins, a chip bag the size of me, a mustard container that would surely last a year. Its human nature to want to discount, but we are also willing to spend more money if we can quantify it as being a deal. Similar to the idea of spending $0.50 more to get more ice cream, when you are in Costco you were willing to spend more money to get more something if it averages out to less. It's not just Costco anymore. You or seen volume discounts in all types of stores, dollar stores, grocery chains. First 5, Only $4.95 each (after that $5.95). Buy 10 chocolate bars for $10. (when in actuality the price is $1.09 for the same item). As a result you end up buying nine more chocolate bars than you actually need, and the grocery store makes 8-9 times the revenue they would if you didn't invest that amount. And this pricing strategy seems to be sticking and become more prevalent. Why? Because the words on you, and it works on me. Perhaps not every time that you see it, but over time it is going to increase your spending habits and ultimately you are going to be buying more of something that you don't need more of. As a company, this is brilliant. As a consumer, this also seems brilliant because you feel as though you have beat the system and saved (or even made) money as a result. The last pricing strategy that I'm going to discuss is getting a discount, if you commit to a longer tenure. This is one pricing strategy that we use here at Wealthy Affiliate and it works very well. As a premium member you can get a yearly discount on your membership. Instead of paying $49 per month, you can get $29 per month pricing if you pay for a year all at once (which works our to $359). People of the budget to do so, typically upgrade to the yearly membership simply because it makes more financial sense. This is the common pricing strategy with membership/recurring based pricing in both the online and the off-line worlds. For example, if I purchased my entire golf membership within one yearly payment, they offer a 10% discount on the entire year (basically a month membership for free). The same with my gym membership, if I pay yearly they give me 12 months for the price of 10. So if I am paying $50 per month for gym membership, it is discounted by $100 on the year if I pay all at once. Companies implement this pricing strategies so that they don't have dealt with ongoing "billing issues", but also so they can maximize the revenue per customer. Customers highly benefit from doing this if they can budget for it because there is significant and deep savings often times through doing this. You will find that almost EVERY recurring/membership based company will offer some sort of discount if you pay for a year or multiple years at once. It makes sense to both the company and the customers. So when you are developing your pricing strategies on your website, for your business, or when comparing products/services on your blog, these are all variables that you should consider. Customers do behave in predictable ways, once tested. Many of the biggest companies in the world have done the legwork for us and have tested and refined their campaigns to maximize conversions and revenue. As a result, we can leverage their models in our own affiliate marketing or ecommerce businesses. Hahaha, same goes to me, will say the higher price 1st since I was born, lol! Remind me certain practice not change much still a common from the past and present life reality, within human habitual nature, and the market practice we in today too. Even, JV Zoo and other digital markets using the same strategy, the only shame is the term "upsell" (level of tiers) is the tradition of their strategy. Hahaha, oh Kyle, WA twice "seduce" me on discount part for its value if commit long-term deal and my mind transistor "twisted" even more with a "joke" pro-rate discount offer on early year-long membership renewal! lol! But make no mistake because for the quality of the quantity I've got at WA, it is priceless and no-brainer "Bargainium" (Bargain + Premium), hahaha! Great points from this post with tips on all the variables as per written above should be on our consideration in the long run. Thanks for another tips and guide, bro! These are powerful and insightful ways to maximize income when selling commodities, and I really appreciate them. It is worth mentioning that if we are selling high risk, high value or once in a lifetime items, sometimes it is more attractive to have the high price. For instance, hiring writing services for the essay in your admission application to Harvard or MIT - If the competition offers to do it for $5, you may do better offering it at $10. Likewise for the writing of an epitaph to be ground into the marble of your gravestone - do you want to buy the lowest cost option if the difference is less than the cost of a fast food meal? Great post, thanks Kyle! I am of the "yearly membership" type. First, I know I'm getting a lower price if I pay for the year. Second, I don't like the thought of having another monthly payment. I would rather get it "out of the way", if you know what I mean. This makes a lot of sense! I can't stand how overpriced things are in theme parks, but I guess that is how they make money. Another good example of this is the meal plan option they have at SeaWorld and Disney. If you get the meal plan for your family it is meant to save you money because breakfast, lunch and dinners are all included for one price for the entire day. However, they do limit you to certain restaurants in the park. Thanks for sharing this Kyle! Well you don't have any alternative when you are behind the "locked gates". They get you on the high entrance foods, then the food prices, and then the $20 stuffed animal. That leads to the "environment effect". If you are within an environment where you expect to spend lots on average things (Disneyland), you are getting a value add because of the emotion that it plays on you and the excitement your kids have. If you are in the dollar store, the same item is 1/10th of the cost. I have a story about this that concerns the real estate industry. I'm moving next month and so I've been shopping online to find a rental townhouse or apartment. One of the apartments I looked at had a great price for monthly rent, but when it came to signing a lease, they wanted higher rent for a 12 month lease vs a shorter term lease. I was so confused by this at first. I realize now it may be because I have been conditioned to expect a discount for a longer term commitment. Whatever they were trying to do, they did lose me as a potential tenant. I ending up finding a townhouse that is larger and my ideal rent. Glad I dodged that bullet. Many, many thanks Kyle for sharing these Pricing Strategies. I've noticed these kind of pricing as well. It's a great help that you have listed them and given examples when and how to use them. Strategy 4 and 5 seems OK, but the Strategy 1-3 seems a bit manipulative. Have to be careful by using them, I think. Your post brought me back to my childhood, I remember when I went to different stores I would always noticed that a lot of the products were priced lets say $3.99 instead of $4.00 I personally thought that was a silly way to price, because its only a penny difference. I eventually learned from one of my High School teachers, that they were priced in that way to create an illusion, to make people think they are saving money, because they see the 3 first so they were more likely to buy the product that was priced at $3.99 rather than one that was rounded out to a dollar. Times have changed. Today I see Products being priced in many different ways, which makes more sense to me. The price strategies that you talk about in this post are pretty common, although the mix and match one is recent for me, because a supermarket chain I grew up shopping at closed down quite a few stores about three years ago. Today they use the mix and match method and they have been doing really well since. Now the dipping dots, the price for regular and large is kinda steep you think. Yeah, and the price for the larger definitely expensive, but It actually minimize the pain of purchasing it at that price by making the small nominally cheaper. That is why that pricing model was instituted. They were able to overcharge, and at the end of the day I felt like I was getting good value as a result of the large being only $0.50. It worked on me! That's very common here in US. At Wendys, yearly, they sell a $2 key tag and the customer get free Frosty Jr size ice cream unlimited for the next year. The key tag is a great stocking stuffer at Christmas. Their key tag is a great seller during the holidays. It's a genius idea. My husband loves going there because of the free ice cream. Then he spend $5 more for lunch. Wow, I haven't heard you take thing yet, but that is a genius idea. Gets people coming back and you almost feel guilty as a customer if you abuse it and don't buy something. As a Costco shopper, I am well aware of the giant size issue but we don't lose a lot because we share the surplus with our neighbors. Costco also does not discount their membership fee but does have the rebate on Executive memberships. Great article, gives a lot to consider. But seriously, do we need 24 croissants?! Funny you should mention croissants. We bought them but we froze them so they would not go bad. They are good even when thawed out. You have to adapt your life style a bit if you are going to take advantage of Costco pricing. Most people would not that is why we know a lot of people who do not use Costco. Thanks for the interesting post Kyle. It's very relevant to both online and offline marketing. When I was in my early 20s, I worked for Radio Shack right when cell phones were first becoming mainstream. At the time, the Blackberry dominated the market and I actually remember when the first iPhones hit store shelves. We had one Blackberry model that was outrageously expensive and the commissions were pretty lacking when you were able to sell one. In this phone lineup there was a model that was designed to handle abuse. While I can't remember the name of it, I do remember that it was a $200 phone, and that it had a walkie-talkie feature and was VERY tough. You could actually run over it with a car and not break the thing. Anyway, when that phone was introduced, I quickly rose to shatter previous sales records in my region. How? Well, when my customers would be browsing phones, of course they initially found the outrageously priced Blackberry. When they'd start looking at it, I would ask if they had any questions. Normally, I'd get the "just looking response." I'd say thank you and as I walked away would just say "that Blackberry is great but there's another model that is a lot more reasonable and a better investment." This peaked interest, and normally resulted in an easy sale. I finished my strongest quarter in 2005 with over an 80% close rate on cellular contracts. Long story short, always know which product you want to sell and have a tactic in place to show how the benefits and savings provide a better value. Sorry for being so long-winded. Just wanted to show how I've used this tactic in action in the past. Ohhh Kyle everything you have shared in the blog sounds so familiar. Especially these days most of the shops I go to use these pricing strategies....i should say they work on many. You won't believe that I most of the times fall for strategy no.4 lol and so so many people. This is so informative and an 'eye opener' lol. I will actually be using some of these strategies myself....they work. We all fall for #4. It is apparent, because of Costco's popularity, but every single grocery store is implementing this now and it is interesting to see the evolution of pricing strategy examples brought to us by grocery stores (which seem to be the most progressive in this space, because they have access to the most data. That's very true Kyle. Am really glad you shared this. I have greatly benefited. Very informative article -- really enjoyed reading it. Factual, as well! I remember, several years ago, when I owned and operated my florist, we used to price a bouquet (i.e., $3.99 as opposed to $4.00). Funny, but that penny off made it seem like a deal! We used to give a really good amount for the price, and never cheated anyone. But using that same psychology, it works well! And, yes, we had offered BOGO (from time to time), wherein the second bouquet was 1/2 price, and that was the "sale" for that specific week. Yeah, certain numbers just feel like a lot more money too. I wonder if you tested $5.99 versus $4, what you would see in terms of sales and results. That is something that can make a big difference in terms of REVENUE, and the difference is nothing more than a price. . Yes, even though it's only 1 cent less, it seems to make a difference for many! Doesn't make a lot of sense ("cents" ... lol), but it does work! I had tested this strategy years ago at my shop and, also currently when selling online. What we may perceive as being "silly" can truly make the difference in many instances. Yeah, lots of this marketing I do not like. What I do like is the benefit to the pricing and how you can amplify conversions, as a results of helping people and in most cases, offering them the most affordable version. As you and I know, there is a lot of overpriced fromage out there and when you put a lower priced item beside that, it can have a huge impact...or when you introduce what others are charging before you introduce what you should be doing, that can also have a positive impact. I love these posts of yours, right to action and try out new experiments, adapt, find the best way of marketing bringing us the success we deserve for the hard work we put in there. I thought this was awesome, very timely for the opening of my local business. I have some ideas on how I will go about my pricing but this article did give me sort of the "go for it" feel on the services I want to offer for membership. Thank you very much. I will have to reread it again or check on it every now and then to really grasp this amazing idea. This actually gave me an idea for the email sequence I'm working on. I think my last few emails in the sequence will be on the benefits of going premium. 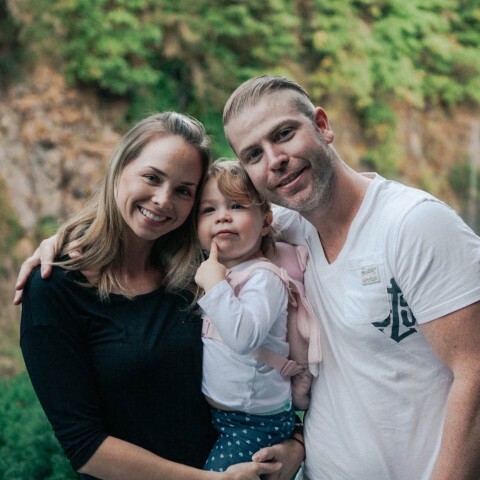 I would make a comparison of the costs associated with creating a successful online business between WA and gathering all the tools/training elsewhere which clearing demonstrates the value of going Premium. To me it’s about comparison shopping and providing value of what a person needs. I know I do it all the time thinking I’m getting the better deal. I ask myself, “ Do I need this or is it an impulse buy?” What value will I get from having one chocolate bar versus 10? Yes it’s all about getting the person to buy from you versus your competition but you also want to build trust and integrity with your potential customers. Interesting look at the psychology of pricing! On a different level, I notice that some scams online use a weird numbers tactic - they use very specific amounts regarding what you can earn if you follow their "secret system". Such as... "you can earn up to $2463 a week!!" :D. As though the very specific price point there makes it sound more realistic! Exactly. An exact dollar figure reflects an actual result verses a guestimate number of $2,000. As a marketer you consciously made a decision when buying your ice cream but you have made me become aware that subconsciously we are always looking for bargains and when the seller makes it easy for us we automatically do what we have to do albeit subconsciously. This post made me happy - that as marketers we do have control using pricing. Puts us in the driver's seat! An extremely valid point for me. Thanks Kyle, really nice to have these strategies explained and I can see how they would fit into business plans. Experienced marketers would know some strategies and I think some consumers as well. People buy in some strange ways. When I look at an ice cream for $7.00 and a bigger one for $7.50, I just think of the big profit that they must be making in the first place? I have a place in my stomach for large capacities of ice cream, so two large for me please!!. Lol! Interesting sales for me is when a customer buys something but they weren’t even looking for the product! How does that happen? Some consumers just love the BARGAINs! The TRUE BARGAIN is only true, if your intention is to go buy the product and the product is on PROMOTION! Everyone is a winner. A nice purchase is when you buy something and it is something that never even occurred to you to buy. The price is brilliant and it’s very affordable and it turns out to be your most smartest and cherished purchase. Almost life changing! I bet you are the best thing since slice bread in your mom’s eye Kyle. All the money you have saved her in Basketball Shoes. Nearly 100% saving on those shoes!! Lol. Thanks for the strategies! Excellent post! These are great strategies, and yes you are right customers do behave in predictable ways. I actually have a buying habit like this..I buy in bulk because, when buying in bulk it seems like you're paying a cheaper price. I also paid for the yearly in advance because, it saved me $288. You get a free spin daily and can use your prize (generally a discount or $ off) on a purchase done on the site that day. Miss out? Come back the next day and try your luck! At some point, too high a price means fewer sales, and less profit, so it is a tricky thing to get down. Definitely, pricing is something that has to be considered in your offers/promotions! Even if it's cents yes its big especially if you know how to deal customers. I'm not a fan of the ..99 cents etc and as for buying more than I want I have learn't that to buy only what you need and can store, is the go for me, however the learning curve is there for me to learn how most people will react. Thanks for the lesson. Funny story.... my brother went to buy a new sofa and a chair. He came away with two three seater sofas instead. Why ? Because two three seaters was only £50 more than a chair and one three seater sofa. He hadn't factored in scotchguarding and delivery for 6 seats rather than 4 was more expensive but he was happy because he got a deal ! Lol! this is a funny story. I can't stop laughing! There is certainly a feel-good factor in saving money or getting that absolute bargain, I guess that we all share that one in common, nothing like that bargin. I guess, things change when we jump over the fence and go from being a buyer to becoming a seller, always good to look at statergies to enhance the selling possiblities. Really like stratergy 3, high price beside a low price, looks good for reviews, real food for thought Kyle thank you. Thanks Kyle for the strategies. And then we go home feeling ; yay! I did well today! I caught on to that old 10 for $10 trick long ago. I live alone, so I can't really justify buying 10 boxes of mac and cheese in one trip or I'd blow up like a balloon. At my age, I put on weight just inhaling the aroma. But it turns out that in many cases, the price is 1 dollar per box if purchased individually, anyway. Of course, this doesn't stop me, as a marketer, from using that same technique to sell from my own website or online store. Nice to see you blogging more regularly, Kyle. Your input is always value-packed! Indeed, it will work every time because you believe that you have won. Is like having a garage sale, most times the consumer never leaves empty-handed, and will always buy more than he came to shop for because he believes that he came out with a better bargain. Great post. It's when we put on our "marketing" hats that we can really see the se strategies clearly. I was just discussing pricing strategies with my son at MacDonalds the other day. He was asking me why it was so much cheaper (perceived) to buy MORE through their Meal Deals than it was to buy mixed and smaller sized meals. Its all about perceived value and clever marketing. The cost of this post = Your Time + Reader's Interest + WA Referrals = Priceless! You really are an information "NINJA" on so many topics! Your writing style is so conversational and I love your analogies/parables! PS Plan to send out to my email list and Social Share it tonight! Excellent advice Kyle. A reduced annual price against a monthly cost is good value, whatever the product. I notice Hosting companies use that strategy quite a lot. Actually to the point of being confusing for those new to owning a website. With WA hosting I don't need be concerned about that, but for reviews of hosting companies it is something to watch for and include in pros and cons. Something we see a lot of with TV advertising in NZ is: Buy Product 1 and get Product 2 for Free, or even better we will give you a Magic Item for Free too! Of course they don't tell the post and handling charges on all those items. All I can say is - if a company can afford to give away so many Free items the cost of No.1 Product must be significantly greater than it need be. I often wonder how many sales are made through that kind of TV advertising. I suppose it must be profitable because the cost of TV advertising is not cheap. Marketing certainly is a skill to be learned.